To some Steve Jobs is a national treasure and to others he is a visionary of the first order. These are just some of the views being expressed in Silicon Valley about the Apple co-founder following the news he is taking a medical leave of absence from the company. "Apple has become such an important part of the tech culture and they lead in so many ways with product visions, it's unclear that without that leadership which Steve Jobs can provide if anyone else can do that," said Mike Arrington, editor of the respected TechCrunch blog. 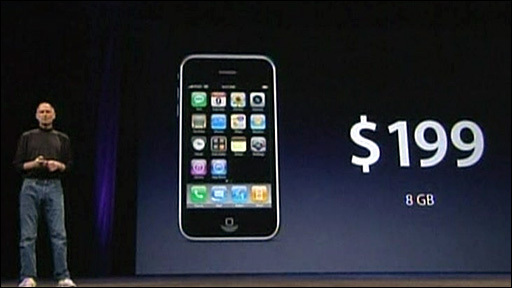 "He has single-handedly brought the US back into the mobile ball game with the iPhone. Until then it was all about Europe and Asia. He also broke the back of the music industry with iTunes. "Those are two big legacies to leave behind, so I really believe he is a national treasure," Mr Arrington told BBC News. Gene Munster, a senior analyst with Piper Jaffray seems to agree and told CNBC "replacing the magic of Steve Jobs is impossible." Twitter, the micro blogging service, has been alight with users sharing and discussing the news. The tweets range from those of sympathy and best wishes to Mr Jobs to questions about the future of Apple. While one user tweeted "what will happen to Apple without Steve Jobs running day to day operations?" another added "he is awesome, but he's not the entire company people...."
That is the view of Van Baker who is a principal analyst with Gartner and covers Apple for the industry. "The hit the stock price has taken was inevitable because he is the public persona of Apple and, largely wrongly, most people think as goes Steve so goes Apple. 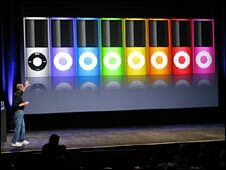 "In truth it's not going to have an impact on Apple in running their business. They will do just fine. Tim Cook, who is taking over, is a very capable guy. He's not the personality Steve is, but he is very competent and Apple will do just fine," stated Mr Baker. While Mr Jobs' health has been a major topic of discussion following public appearances showing how gaunt and thin he had looked, many say they are not surprised he is taking such steps to get well. Raines Cohen has been an Apple user since 1979 and helped found the Berkeley Macintosh Users Group, one of the largest of its kind in the country. "I had been talking about organising a get well card for him so I really do wish him a rapid recovery. "Apple has functioned without Steve in the past and I think it will do well. A few months away, I can't see it having any significant impact. Of course things can go longer." This is not the first time Mr Jobs has stepped down as ceo of the company for health reasons. In 2004 following surgery for pancreatic cancer, he gave up the job for around six months. Now with his second medical leave of absence , the question as to whether or not Mr Jobs will return takes on even more weight. "That is the real question," suggested Mr Arrington. "When a CEO steps down for health reasons, chances are they are not coming back. "However he did come back after his bout with pancreatic cancer in 2004 so there is no reason to think he won't depending on how serous his health problems are." Charles Wolf an analyst at Needham &Company who follows Apple said "It is reasonable to expect, given the history of Steve's illness, that the market is probably going to assume that he is not going to return to Apple." As speculation starts to bubble about Mr Jobs' return or otherwise, the blogosphere is looking to Apple to map out its future more clearly. At ZDNET, editor Larry Dignan said the "news is likely to start succession planning talk at Apple"
"It only seems prudent that Apple create and disclose a succession plan of some sort," he added. Owen Thomas of the Gawker blog, said: "Apple needs to prove it can thrive without Jobs. 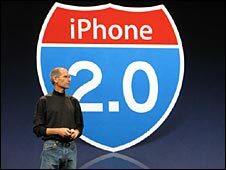 And Jobs, for the sake of his family and friends if not Apple's investors must show he can thrive without Apple." The Wall Street Journal noted that Mr Jobs has in the past talked publicly about the prospect of death and how it spurs him on. In a commencement speech he gave at Stanford University in 2005, he told the crowd: "Remembering that I'll be dead soon is the most important tool I've ever encountered to help me make the big choices in life."